St Cronans Stargazers Bray Co Wicklow Ireland / St Cronans National School Bray. Terrific! I wish I could have seen trough a telescope wen I was nine. My first time was only wen I was 20. 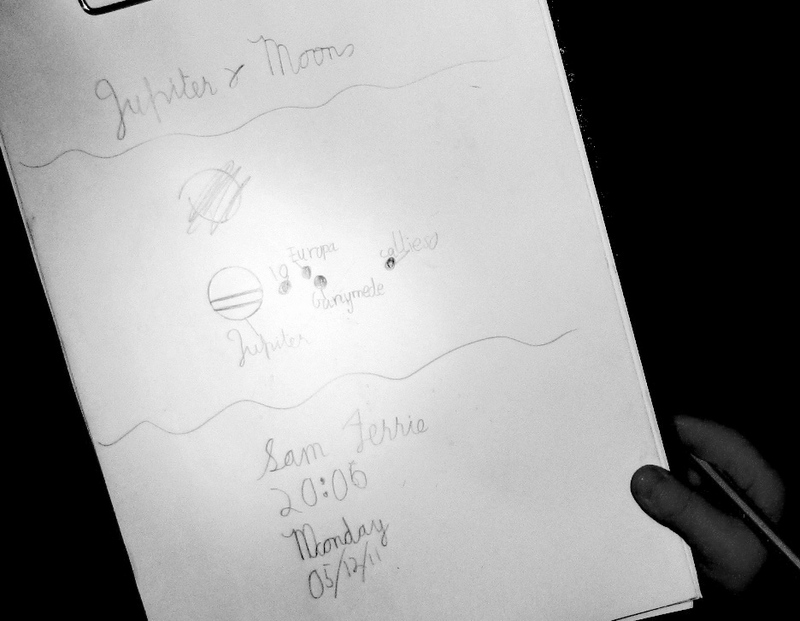 Being able to sketch at the eyepiece is certainly most promising for a 9 year-old! The sketch looks very nice and accurate. Very fine sketching, you can sketch at my eyepiece anytime you want to. Great job, you are truly a budding astronomer! Great work Sam !! I can write my comment !!! Yahoooo! !